Now there’s certainly a lot of controversy around eating at McDonalds, from how they source their produce, to the health impacts of eating it – but one thing that you can say about McDonald’s with absolutely certainty, is that wherever you are in the world, the taste of the Big Mac is universal. It’s pivotal to their worldwide success, whichever McDonald’s you visit, wherever you are in the world – it will always taste the same. Don’t ask about the processes with which they have to go through to achieve that – but it’s a fact nonetheless. That universal taste, the familiarity and predictability is a key ingredient into explaining their phenomenal success. 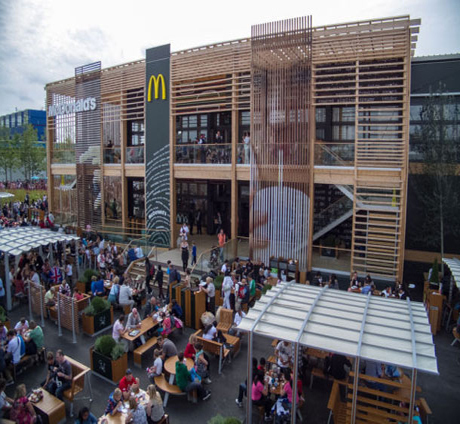 But the one thing (in fact the only thing) that isn’t predictable about McDonald’s is the designs and locations of their restaurants. We look at some of the most unusual outlets around the globe, you’ll not find any common link between any of them, save for the name.